Mel & Kim ‎– F.L.M. Great collection if you want a lot of mixes and 7" inch versions on the cheep UK and USA / japan reversible cover art some nice photos and sleeve notes but hard to read at times. Beautiful version of the FLM Album featuring a unique german only one sided maxi single featuring Showing Out / Respectable (Extra Extended Combi-Mix Version) album has a gatefold cover featuring a Coloured photograph or mel & kim die-cut one one side with the bonus disc .this release was issued in Europe only! . One of Cherry Red's less successful reissues. The makings for a fab reissue are there, but somehow they've fallen short on every aspect. To fit as many tracks as possible, the original album versions of the first 3 tracks are replaced by 7" versions. It's a shame as the longer versions are quite enjoyable. 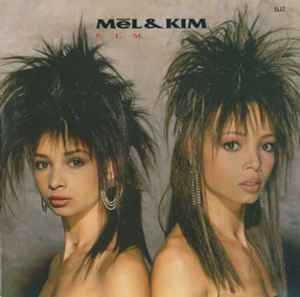 Still, not ever mix Mel & Kim released fits here, so why go with quantity over quality? The original album should have been included as it originally appeared. Also, not every mix that is included is that great. For example, the clanky "Respectable (Extra Beats Vocal)" that opens disc two could have been left out - which would have freed 8 minutes of disc space. On the plus side, 6 (or seven) previously unreleased versions are included. The 1990 Megamix would also have been a nice addition. Sound quality is average. While this is apparently remastered, the overall sound level has been brought up so much that all dynamics are lost (brickwalling, loudness war). The booklet would be great - if it were twice as big in size. The font is so tiny that the only way to read the text is to scan the booklet and view them enlarged! Just silly. There's a nice foreward by Kim and a long nice biography/story by Tom Parker. Many photos are record sleeves are pictured. A lot of "bang for the buck" but still a frustrating release.